Need more apps for your favorite device? iOSnoops can help! 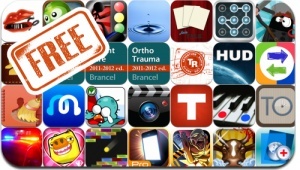 Here are 34 iPhone, iPad and iPod touch apps that have just gone free. This apps gone free alert includes Angry Piggy, Mad Chef, Oldschool Blocks, Tower of Fortune, Tiny Jump, Squish The Zombies, ZombieRunnerZ, U.S. Cop, Ripple, Movie FX Cam, and many others.